While I love reading through stacks of poems, the submissions for the Persimmon Tree competition were of such high quality that selecting just a few poems for inclusion in the winter issue was very challenging. I was disturbed to have to pass over some very fine work; in the end, however, I chose eleven poems that I thought worked well together. In reading the poems, I was looking for work that moved me to either laughter or tears, or that sent a shiver down my spine. The poems I selected are marked by specificity and honesty. They are not forgettable poems nor are they exercises in the manipulation of language. They open a door into the lives of the poets. We feel welcomed and know that they are sharing with us what it means to be human, in textured and layered poems. I share these poems with you, grateful to have discovered them and so many other poetic voices. night fish. Aunt Hazel went to Mass every morning. Hazel perched on the rocker. I was asleep. “She’s not eating enough. up early with their Postum. Kay, a school janitor. Hazel, a bookkeeper for Sherick’s grocery. I hung my summer sweater in the dark hallway. in winter, never drying out in fleeting summer sun. the Longview slough, came back to Dover Street. left-handed, he was the one they loved the most. her hand-painted sign out front. years ago. Father in ’98. she could be eighteen or thirty. It’s O.K. for me to sell. covered with tin foil. I step back. her round brown eyes look up. yeast and quickbreads. No other furniture. kitchen window. Her only source of light. when she says butter, not lard. for their two week family vacation. under her full breasts – in the latest style. slamming cupboards, doing last minute stuff. into San Francisco fog, thick as a blanket. over who gets to hand the man the quarter. is yet to ripen and hates everything about herself. whispers he hates his sister’s guts. and kicks his seat with her Keds. The mother grimaces; her headache is starting up. the father yells, turn it down for crying out loud. through the rear view mirror and winks. The kids make loud farting noises. blessed sun breaks through the fog shroud. I knew absolutely nothing about. Africa is a big place. With that land dark as me. When the waves were right. When Robert told me go back to Africa. Billy shoved him said to leave me alone. For a boy of 12. All the way through high school. Behind the May Co. on Crenshaw. In the industrial section of Carson. Smiling, causing me to smile too. only blocks from Ocean Beach. on the buoy, snug next to you. my friend Carla a block away. we’d move across the Bay. would never be as before. in the Smithsonian’s Roosevelt exhibit. backed into the drive, home from the grain store. on backyard cruises, scaring the chickens. a family’s cries for their President, dead. and store it in the root cellar. on a line stretched between two hazelnut trees. with a flat iron heated on a wood burning stove. I would like to feed the chickens. I’m nostalgic for my grandmother’s life. raise ten children on a tenant farm? Bear the loss of one who drowned in the Kentucky River? Love a husband who kept a bottle in the tobacco barn? Haul water from the well? Tear pages out of the Sears catalogue in the outhouse? and mint was crushed beneath the wheels. The scent lingered in the warm summer air. She fed a handful of oats to the horse. She kneaded bread and watched it rise in a blue ceramic bowl. She ate the first slice. but good strong coffee made from a can. and remember the years they worked the land. to work a western harvest. made gold by a golden sun. their aching backs and ruined knees. ‘Don’t miss them days at all,’ one says. Heads nod. Gazes drop to coffee cups. The same lie, repeated every morning. … lock the sliding door. … sing a song on key. and prone to chronic laziness. of leaves deserves a chance. I didn’t hold when it was wanted. hear again that my heart came from yours. I sent you the songs. Did you listen? Did you hear? The tremolo is still on the strings. meant to loosen the wrist without straying outside the lines? disciplined way I bite my tongue, sign my Social Security checks. in front of you like some pin-up. our children would find me naked in our bed. like the ones that Doris Day wore in movies. to have been once what I was. in nylon, silk my own incredible skin. Donna L. Emerson divides her time between her home in Petaluma, California, and her family homestead in western New York. She is an instructor at Santa Rosa Junior College and a clinical social work consultant. 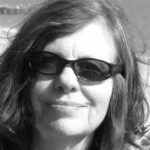 Donna’s recent publications include The Place That Inhabits Us, Poems of the Bay Area Watershed, The Paterson Literary Review, The New Ohio Review, and Eclipse. She won the Tiny Lights Flash competition, 2010. Chapbooks include This Water, 2007, Body Rhymes, Finishing Line Press, 2009, nominated for the California Book Award and Wild Mercy. Her most recent chapbook, Following Hay, was published in November 2013 by Finishing Line Press. Maria Mazziotti Gillan is a recipient of the 2011 Barnes & Noble Writers for Writers Award from Poets & Writers, and the 2008 American Book Award for her book, All That Lies Between Us (Guernica Editions). 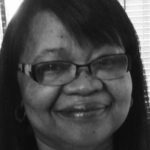 She is the founder/executive director of the Poetry Center at Passaic County Community College in Paterson, NJ, and editor of the Paterson Literary Review. She is also director of the Binghamton Center for Writers and the creative writing program, and professor of poetry at Binghamton University-SUNY. 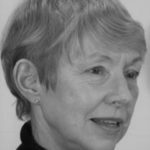 She has published 18 books, including: What We Pass On: Collected Poems 1980-2009 (Guernica Editions), The Place I Call Home and The Silence in an Empty House (NYQ Books), Ancestors’ Song (Bordighera Press), and Writing Poetry to Save Your Life: How to Find the Courage to Tell Your Stories (MiroLand, Guernica). With her daughter Jennifer, she is co-editor of four anthologies. Visit her website at www.mariagillan.com . Dian Gillmar attended Brown University and Simmons College. She has taught school, worked as a special Librarian and as development director for the University of California and Brown University. While rearing two daughters, she began writing short stories and after retirement turned to writing poetry. She’s been published in Blue Unicorn, California Quarterly, and Timber Creek Review and has won several local poetry contests. Gillmar lives in Berkeley, CA. Christine Horner lives and writes in Lafayette, CA. 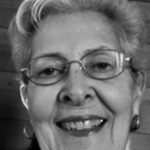 She started writing in the 1970s with the Berkeley Women's Center Workshops and has, over the years, published poems in an assortment of journals and anthologies. Recently her work has appeared in Blue Unicorn, The Gathering 12, Sugar Mule #41, and the CA State Poetry Society's Poetry Letter. She is a former nurse and now the proud grandmother of seven glorious granddaughters. Dallas Huth lives in Langley, WA, with her dog, Stella, near her three children. She won first place for poetry in the Whidbey Island Writer's Association 2009 contest, In the Spirit of Writing. 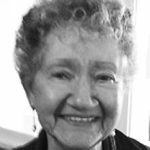 Her poems have appeared in Small Canyons Anthology; the Harwood Anthology, Looking Back to Place; The Manzanita Quarterly and the Santa Fe Literary Review. Her chapbook is entitled Unseasonable Rain, Almost a Memoir. 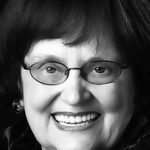 After retiring in 2009, it took one inspiring writing workshop to launch Joanne Jagoda of Oakland, CA, on a long-postponed creative writing journey. Since discovering her passion for writing, she has been working on short stories, poetry and nonfiction. Her work has been published in e-zines and print anthologies including Pure Slush, 52/250, a Year of Flash, Adventures for Women, Poetica, Idea Gems, and the Bay Area Poets Review. 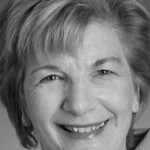 Joanne continues taking writing workshops and classes in the Bay Area, enjoys Zumba, traveling with her husband and visiting her three grandchildren in Jerusalem who call her Savta. Aurora M. Lewis is a 63-year old retiree, having worked in the financial industry for 40 years. She is a graduate of the UCLA Creative Writing Program, having received her certificate at age 58. Her work has appeared in The Literary Hatchet, Gemini-Magazine, Wordgathering, The Watchtowers and others. Her chapbook, Forget-Me-Knots was published by erbacce-press in 2009. 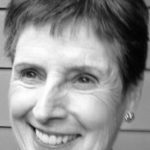 Carolyn Martin is blissfully retired in Clackamas, OR, where she gardens, writes and plays with communities of creative colleagues. Her work has appeared in publications such as Naugatuck River Review, Becoming: What Makes a Woman, Stirring, and Ekphrastia Gone Wild. She is president of the board of VoiceCatcher, a nonprofit that connects women writers and artists in greater Portland, OR, and Vancouver, WA. A three-time nominee for a Pushcart Prize, Penny Perry's first collection of poetry, Santa Monica Disposal & Salvage, was published by Garden Oak Press in 2011. Poems published online are available at Serving House Journal, Excuse Me I'm Writing, and other sites. 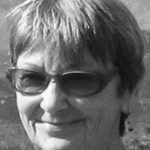 Judith Kelly Quaempts lives and writes in rural eastern Oregon. 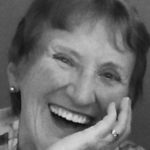 Her poetry and fiction have appeared online and in print, in publications including Pemmican, Still Crazy, Corner Club Press, The Shine Journal, and Camroc Press Review. 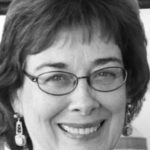 Elizabeth Stoessl now lives and writes in Portland, OR, after many years on the East Coast and a long career with the Arlington, Virginia, Public Library. Her work has appeared in Beloit Poetry Journal, Borderlands, Comstock Review, Crab Creek Review, Illuminations and elsewhere; and is forthcoming in Passager and VoiceCatcher. Several of her poems were included in the anthology Unsilenced: the Spirit of Women. She was a recipient of a fellowship from the Virginia Center for the Creative Arts. 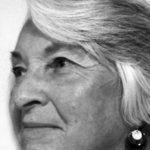 Florence Weinberger is the author of four published collections of poetry: The Invisible Telling Its Shape (Fithian Press, 1997), Breathing Like a Jew (Chicory Blue Press, 1997), Carnal Fragrance, (Red Hen Press, 2004) and Sacred Graffiti, (Tebot Bach, 2010.) Twice nominated for a Pushcart Prize, her poetry has appeared in The Comstock Review, Antietam Review, The Literary Review, Solo, Rattle, Calyx, The River Styx, Another Chicago Magazine, Poetry East and numerous anthologies. In 2012 she served as a judge for the PEN Center USA literary contest. View More: Next piece "Short Takes: Jewelry", Home, Archive. Thank you all for sharing your stories and your art. Each piece seeped into my soul, and I was inside the story feeling as though I was each speaker. I’m so amazed at your gifts. My dream is to someday join your ranks, to write words that resonate with others like many colored threads woven together into a shawl that fits all shoulders. How I wish I had gone through my collection of poems and sent one or two in. I live in California, recognized California in many of the poems, and lived on Crenshaw Boulevard in Los Angeles for high school and college. You chose well. These poems touched me, even the ones that had a rural background so different from the sidewalks of Chicago, where I grew up. Thank you. Thank you so much for the memories of my Grandmother and my Aunt, and their ways. I can imagine myself there as the poem is being brought to life for me. You have capture their true personality’s. Thanks so much, I needed to hear something about her, it has been awhile. Thank you for these lovely poems. Each one had something special to give me. I especially liked Judith Kelly Quaempts Once They Were Gods, partially because these farmers once sat at my tables and mostly for her last line – The same lie, repeated every morning. Which we all do. And Carolyn Martin’s line no expiration date on being wrong. Yes. Penny Perry, the line She never said the words “unwed” and”sin.” Makes this a whole new poem. And Aurora M. Lewis in Afro Summer with the simple touching of hands however slight shows so much. Excellent poems. I love the collection of them together in this way.